This End Cap is pressed onto the nozzle of the Filter Bag (PN20452 or PN28364) after the filter bag is full to keep dust from escaping. 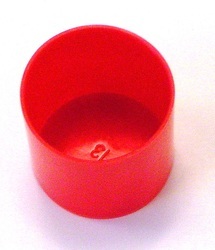 The order guantity of End Caps will be packaged in a poly bag and shipped in a best fit box. These products are used to optimally support Coated Abrasive and Surface Conditioning products.